PPG and Vision Systems have reached a commercial agreement to work together on developing new applications utilizing Vision Systems’ electronically dimmable window shading solutions for aircraft. The agreement provides a framework for PPG and Vision Systems to pursue opportunities in commercial, regional, military and general aviation applications that capitalize on each company’s expertise. Both companies already have considerable experience supplying electronically dimmable window shading systems. PPG has supplied electrochromic window shading systems for commercial aircraft and ground vehicles since 2007. Vision Systems, based near Lyon, France, is an established supplier of aircraft shading systems and associated electronics. 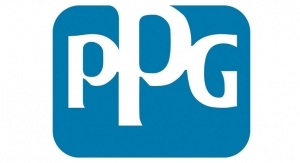 According to Brent Wright, PPG global business director for aerospace transparencies, PPG’s ability to provide its customers with innovative solutions for managing window light and heat transmission is enhanced with Vision Systems’ product. Vision Systems’ dimmable window solutions offer instant response time for changing light transmittance and have no size limitations relative to aircraft transparency applications. The dimmable windows can be controlled individually by a seatside wired or wireless interface or cabinwide through the aircraft cabin window management system. “As a result, we can develop applications for larger transparencies with flat or curved shapes as well as retrofit installations including with add-on panels,” Wright said. Vision Systems developed its latest-generation Nuance V2 dimmable window through its Smart Lite division devoted to the design, production and sales of new electronically dimmable solutions. It is based on suspended particle device film technology licensed from Research Frontiers and an innovative Vision Systems interlayer that offers unprecedented optical quality with 2.5 percent haze, 100 percent clarity and 99.6 percent blockage of visible light with the ultra-dark version of the Nuance product.